The most visible item is the continuation of the Official Spotter Guide. 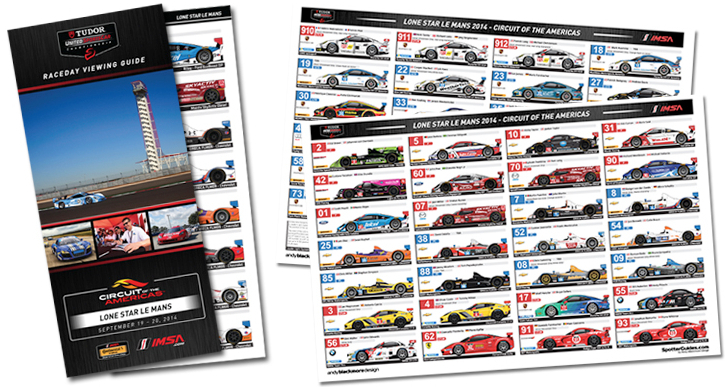 A free PDF download and a printed booklet is jointly produced by Andy Blackmore Design and IMSA updated and updated prior to each race.An average of 15000 copies are produced for each event, used by fans, series personnel, commentators, media, photographers and corner workers. 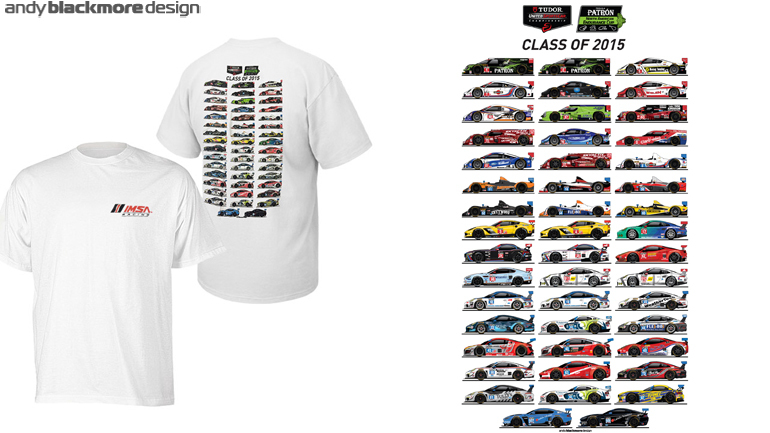 At the end of the 2015 season, a limited run of Championship Shirts were produced using the Spotter Guide car illustrations. 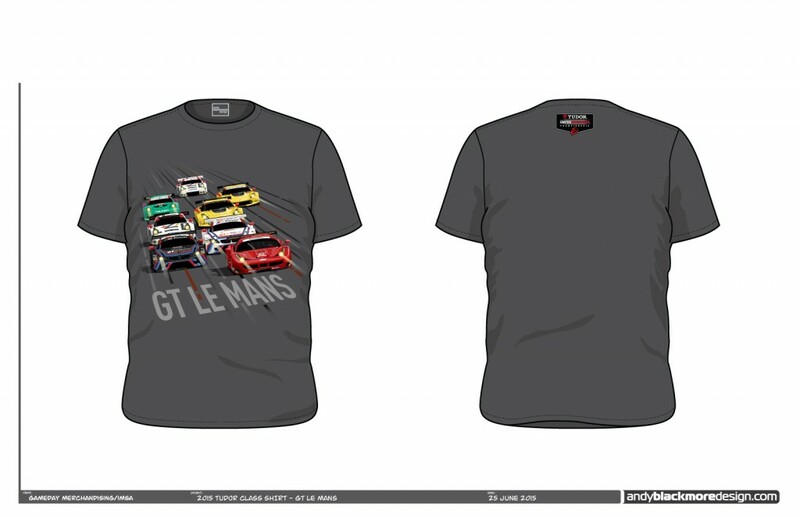 This was followed by a GT Le Mans shirt which features one car from each full-time team in a similar style. 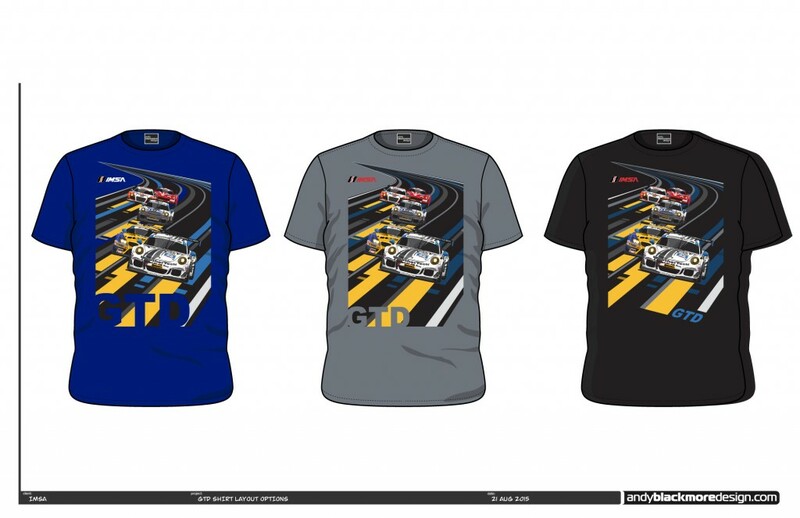 A GTD shirt was also designed but was not released due to scheduling issues. Maybe in the future…. 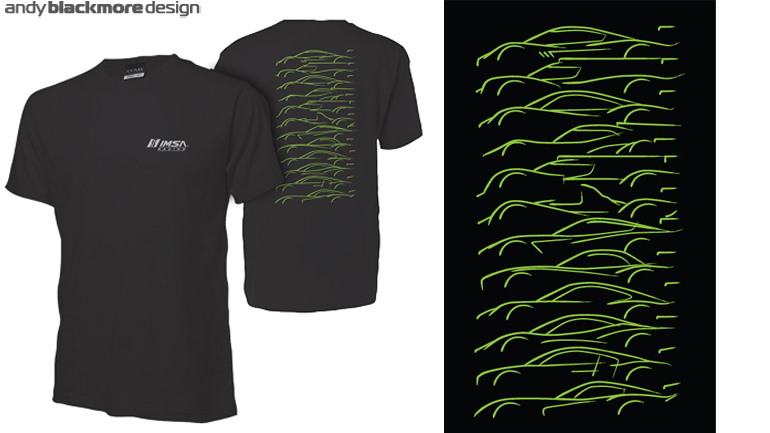 Earlier in 2014, this design was released for the ROAR test with a shirt showing the diversity in the series with outlines of each chassis in a bright green outline. This proved extremely popular and a new run with a Blue shirt with Grey and Red graphics will be available for 2016. 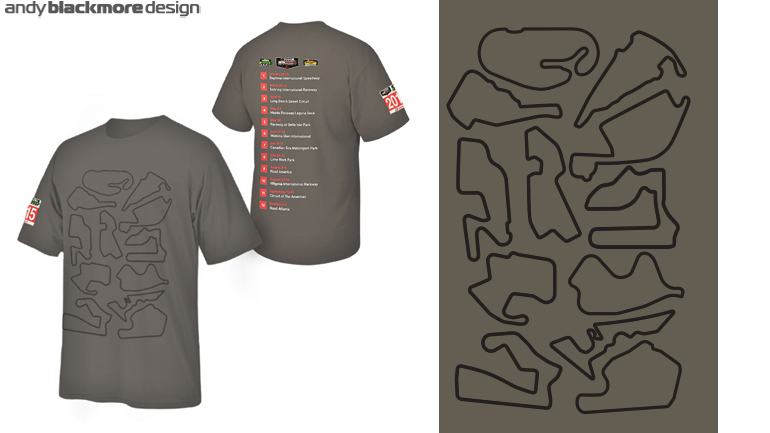 Circuit shirts have previously proved popular so I designed a front print which places all the circuits together like a jigsaw. This was a little tricky as some circuits demand their layouts can only be shown in a certain orientation! As a parent, I often find there are a lack of apparel for smaller kids at circuits, so it was great to work on this comic strip piece. 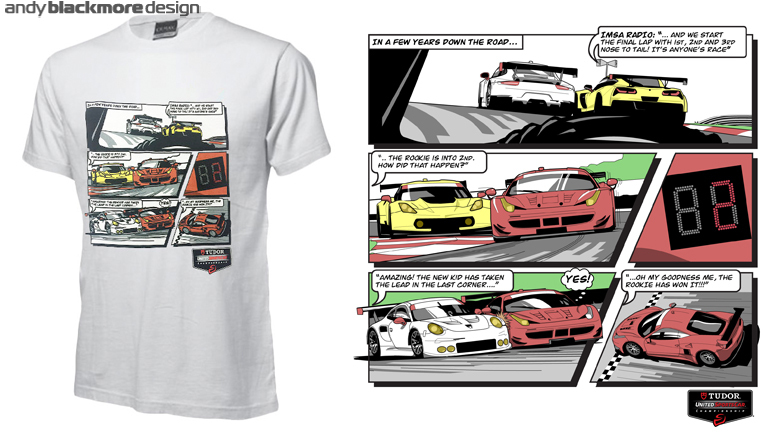 It even comes with approved commentary by the voice of motorsport himself, John Hindhaugh of RadioLeMans.com and IMSA Radio. 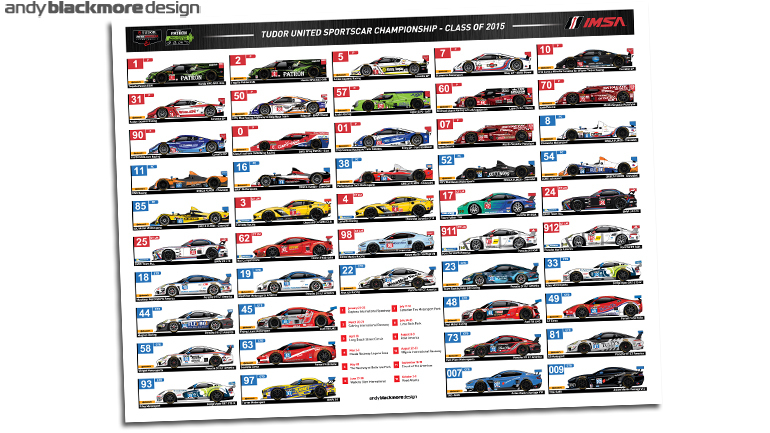 Finally a season long Spotter Guide print was released showing all the full time and Patron North America Endurance Championship entries. 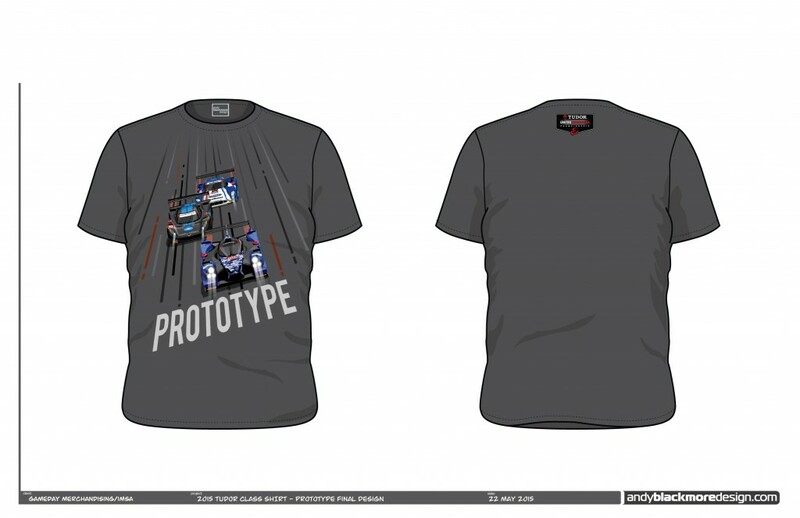 This was accompanied by the now annual T-shirt design, Most of these items were available at the online IMSA Shop and at the circuits in the IMSA Fan zone. 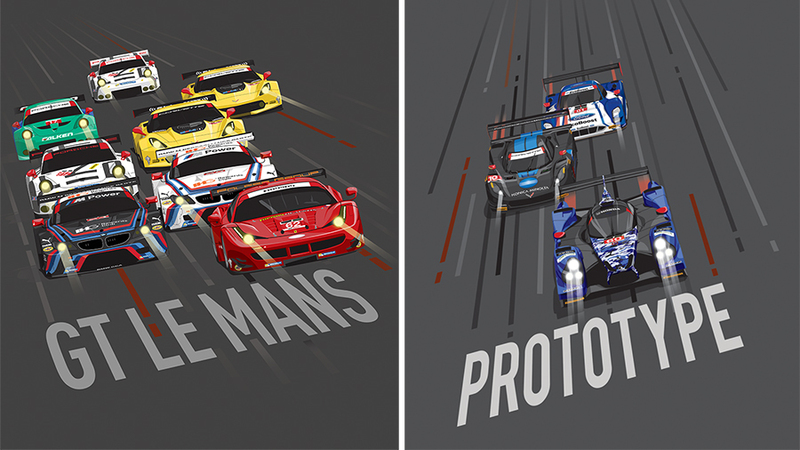 The 2016 collection is launched at Sebring in March with the season-long 2016 Spotter Guide poster and t-shirt. 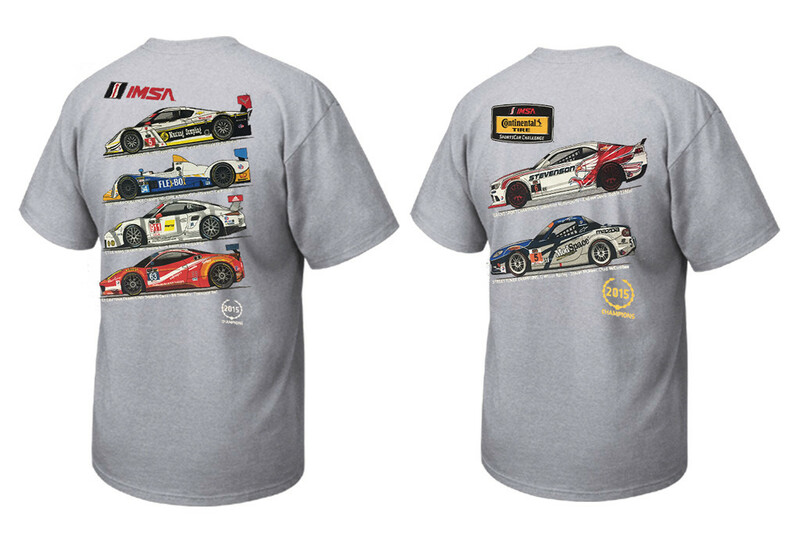 This will be available online after the race at the IMSA Shop. If you or your sponsor are interested in graphic artwork for clothing, event poster or other merchandise, please do not hesitate to contact me.